This article was written by Sandra Vasoli, author of Anne Boleyn’s Letter from the Tower, Struck with the Dart of Love and Truth Endures, who earned a Bachelor’s degree in English and biology from Villanova University before embarking on a thirty-five-year career in human resources for a large international company. 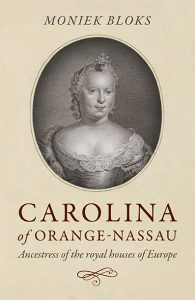 Having written essays, stories, and articles all her life, Vasoli was prompted by her overwhelming fascination with the Tudor dynasty to try her hand at writing both historical fiction and non-fiction. While researching what eventually became the Je Anne Boleyn series, Vasoli was granted unprecedented access to the Papal Library. There, she was able to read the original love letters from Henry VIII to Anne Boleyn—an event that contributed greatly to her research and writing. Join HRW on Sandra Vasoli’s book tour for her new book in the ‘Je Anne Boleyn’ series, “Truth Endures”. Scroll down to win a copy of both books in the series! Henry VIII of England and his captivating second wife, Anne Boleyn, were involved in a tumultuous and passionate love affair between about 1526 until her death at his hand in May of 1536. They were married in January 1533, but their relationship was torrid almost from its inception, right up until just a few months before Anne’s beheading. like – 500 years later! 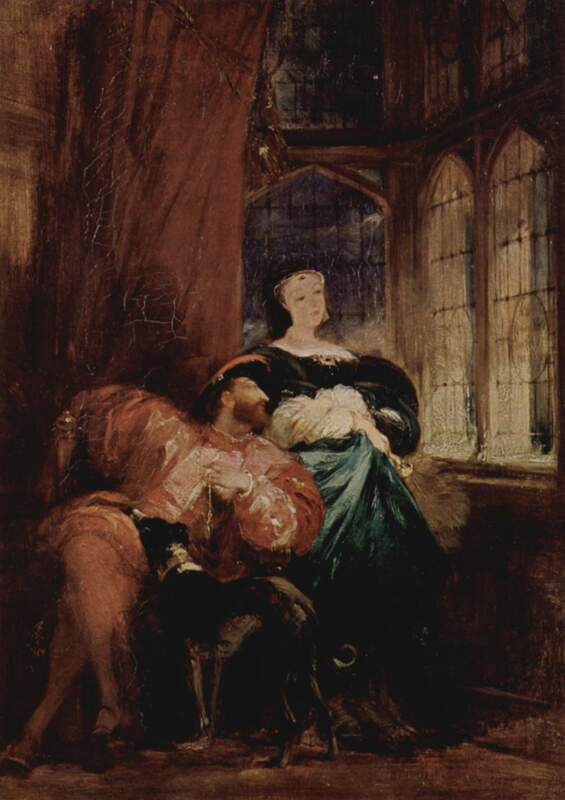 Anne and Henry’s relationship was one of affection – physical affection – from an early date after their courtship began. In a letter Henry wrote to Anne in early 1528, his handwriting was hasty and scribbled, with smudges across the page. In it, he addressed her as “my darlyng”, and at the end of the letter he wrote that he longed to see her soon for “I think it long since I kyst you”. He signed it “written by the hand of him which I trust shortly shall be yours.” This note proves that Anne and Henry had certainly been involved in kissing sessions well prior to his letter! It is likely that Anne’s engagement ring from Henry was an emerald. And it must have been a large one, because the purchase of an emerald ring is mentioned very specifically in the Public Records, amongst other sundry jewels he bought for her. He gave it to her in August 1527 while they were together on a ‘working vacation’ – accompanied by other nobles, but not the full royal household – at Beaulieu, Henry’s estate in Essex. Historians generally agree that by the end of the summer of 1527, Henry and Anne were betrothed. Henry loved buying luxurious, gorgeous fabrics from which Anne had her extensive wardrobe made. He bought elegantly seductive material for her nightgowns: often in black, which must have been very alluring on dark-haired Anne. He purchased black Bruges satin, embroidered black velvet for cloaks (robes) and slippers, with crimson and black matching sleeves. It’s probable that he well enjoyed the result of these purchases! Anne made sure that Henry knew of her love of fine things – including jewellery. Henry indulged her with few limits. Her collections of jewels grew to immense proportions. Favourite pieces which Henry gifted to Anne had their initials intertwined. Among many items, Henry gave Anne a large diamond ring with H and A entwined in gold, and a pendant featuring a central ruby along with their initials. As the relationship became more established, Henry’s bawdy sense of humour was shared with Anne. In one of the letters he wrote, now housed at the Vatican Library, he said the following: “The cause why the bearer taketh so long is the bysynes that I have had to dres upp ger for you. Which I trust or long to see you occupy. And then I trust to occupy yours… which shall be recompense enough to me for all my pains and labors, sweetheart.” In this phrase, it’s obvious that Henry wishes to see her wear the outfit he has had made for her… then wishes to see her out of that very same outfit! Henry and Anne shared private anagrams with each other. They are difficult to decipher. One exists at the bottom of a letter he wrote in French, which is in the Vatican Library. The postscript states “Though it is not fitting…de moy . 6.N. (symbol).Je A.O.” and beneath that, “rva vla V. E.Z.” I wish I could provide an explanation, but I can’t – and I do not know of any historian who has ventured a guess! This mystery lies with Anne and Henry for eternity. Anne and Henry married in secret. In fact, the date is debated by historians. The chronicler Edward Hall records that Henry married Anne on November 14, 1532. Upon the return from their trip to Calais: “The kyng after his returne, maried priuily the lady Anne Bulleyn, on sainct Erkenwaldes daie, whiche mariage was kept so secrete, that very fewe knewe it, til she was greate with child, at Easter after.” Although they may have had a ceremony to legalise the fact that they were sleeping together regularly at that point, many believe that they held a very private, secret – and very romantic – official wedding at dawn in a tower at Whitehall Palace on January 25, 1533. It is not absolutely known who was present as witnesses at the dawn service, but it’s believed that Henry’s chaplain, the Reverend Rowland Lee officiated, and that only Henry Norris and Thomas Henage of Henry’s Privy Chamber, and Anne Savage, Lady Berkeley, from Anne’s retinue, were present. Henry and Anne, his great love, shared much: a love of culture and music, architecture and religion, fashion and opulence. They were each brilliant in their own right -a well-matched pair who doted on one another for much of their time together. But what remains as the biggest secret? The mystery of what really went wrong between them, in the end, to bring their relationship to a sudden and tragic conclusion. The answer to this we will never know. 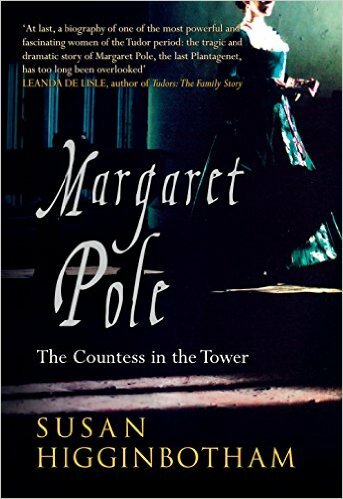 Win a copy of both books in the “Je Anne Boleyn” series by filling in the Rafflecopter below. The winner will be chosen in one week! Whenever I read that “dukky” line, I think of Henry VIII with a handful of rubber duckies, haha. Love this article Sandi! I believe that, apart from not giving Henry the promised son, that Anne’s unwillingness to share him with other women (except for her handpicked consort) did not set well with him. Jane Seymour may have been just another passing fancy to him. He was already disillusioned with her because of HER failures. His moods and whims seemed to change with the wind. And I also believe the jousting accident may have caused enough damage to his brain pan, that it might have resulted in some of his awful decisions. How do you murder a woman you so desperately chased for all those years?? It’s a mystery that I wish could be solved. This is a great article. I learned from each one and did not many things in third article. Most articles like this have information that I already knew (not necessarily by fault of author but because I am huge A.B. and Tudor fan) so when I read these I was quite surprised and happy I discovered something new. I tried to buy your books via Google play but could not find them so will try again somewhere else. Also, just curious where you found this information and where you can access it. Do you have to have access to the Papal library to find it? 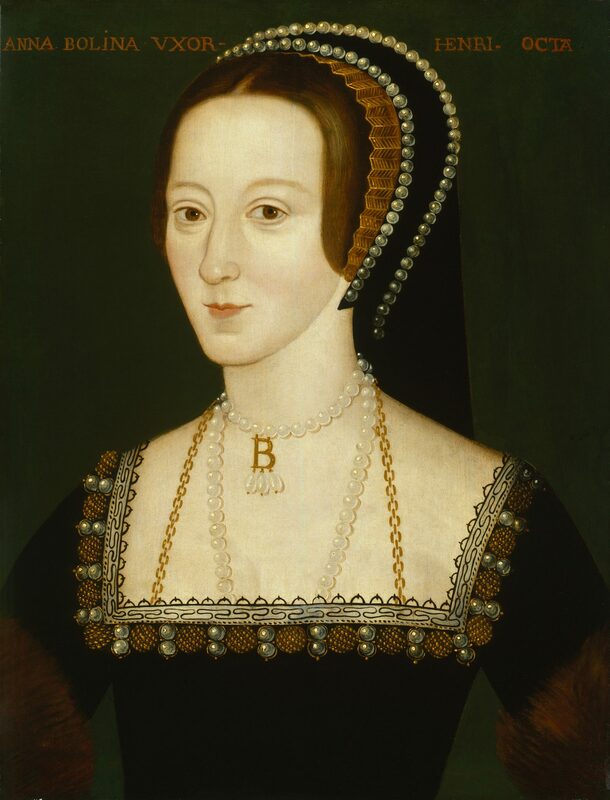 I am obsessed with Anne Boleyn and her story. I just wish we knew what happened to them. I think a lot of what int4igues me is how Henry chased after her for so long and then how she tragically came to an end so fast. True, she may have failed the first pregnancies of having a male heir but surely she would have succeeded had he given her longer. I mean 3 years including the birth of a healthy girl. I do not think he loved Jane Seymour by any means. I think Henry may have even used Jane to make Anne jealous. And also to bring his vanity back up for I’m sure Anne crushed it behind closed doors. I honestly think Jane did play a huge part in Anne’s murder and was far from any saint! I don’t think she had any hold over Henry but she played h3r cards carefully with th3 right allies at the right time. Anne may have been set up by Cromwell and other enemies and then Henry actually did believe these rumors for a short moment through a fit of rage. He may have not been thinking rationally. Although killing her went beyond my comprehension. I see Henry as a very irrational, easily influenced by the right people at the right moments and very jealous kind of man. Maybe Anne was being more flirtatious and friendlier because she was upset with Henry about Jane and then it just escalated from there. The two playing this jealous game back and forth. And then hear comes all here enemies telling Henry things slowly to build up his rage and count her and then all go together with the facade they set her up with. Henry acted fast without much time to think it through. I think Henry did a lot of things to people such as Wolsey and Thomas Moore that he may have regretted later. I think Jane was in his ear during this time also fabricating and ensuring athenticity of these stories and possibly even claimed she may have been pregnant. I truly think Henry was sleeping with her prior to their marriage. She may have held out like Anne did in th3 beginning but I don’t think it last for as long. Anyhow,sorry for the long post. But great article and information. First one like this that I actually learned from! I will be trying to find your books to purchase. I believe what ruined his relationship with Anne was spirituality. He was a deep catholic and she was a protestant, I think he didn’t even realize how he messed up his religion. He deprived it from himself, family and people. He basically ripped away his family history by doing this. And it isn’t till the marriage was final that he realize the depth of his choices meant especially since many of the priest that he grow up with had died. He then after Anne beside Anne, which wasn’t his choice and Parr, made sure that every wife he had followed the catholic faith. I don’t think henry realize how that difference well effect their marriage.